Gik’s blue wine has been around for a while now, but this is the year it was finally cleared to be sold in the United States. We tried Gik's blue-hued beverage that's hitting the U.S. this fall. When we first heard about Gik's blue-tinted wine last year, needless to say, we (and the world) had many questions. Why is it blue? How is it blue? What does blue wine taste like? Now we know. And soon, so will the rest of the country. Gik answered the first two questions on its website early on. 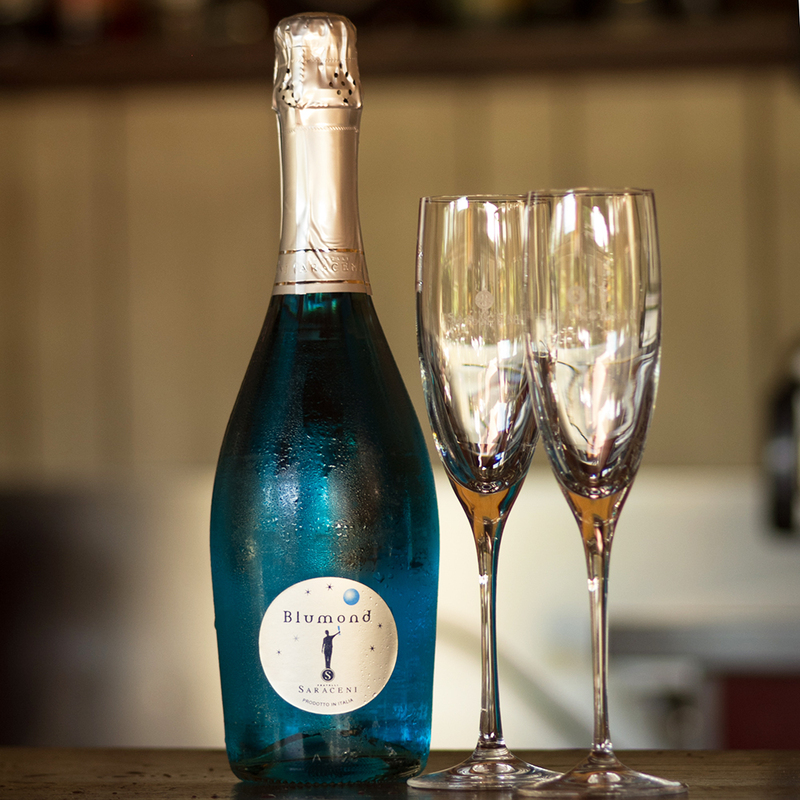 With regard to "why" the brand makes a blue wine, the response was "why not?" Fair enough, though as one staffer here at Food & Wine pointed out, there's a very salient quote from Jurassic Park's Dr. Ian Malcom (played indelibly by Jeff Goldblum) that could easily be retorted: "Your scientists were so preoccupied with whether or not they could that they didn't stop to think if they should." The "how" question is answered with two, perhaps surprisingly, natural ingredients. Blue indigo dye and a compound derived from the skin of red grapes called anthocyanin give Gik its mouthwash-y hue. To that end, if you're looking for a blue wine, this one is certainly blue and certainly a pleasant enough shade of the color. The 11.5 percent ABV beverage is otherwise made from red and white grapes grown mostly in Spain's La Rioja and Zaragoza regions, and France's Courthézon region. Despite that pedigree, Gik ran into some trouble with its preferred terminology in Europe. Because the color is not among the approved categories of wines in the E.U., Gik was forced to remove the word "wine" from its label. Now, even the U.S. site touts the product with the words "Blue Not Wine" on the homepage and accompanying literature suggests using it more as a mixer. Another stumbling block occurred with Gik tried to launch in America, with pre-orders beginning this past spring. However those bottles never shipped, and it wasn't until a couple of weeks ago that the brand announced it would start fulfilling orders in September and hitting stores beginning with Miami, Boston, and a few markets in Texas before expanding to more states. Okay, enough backstory: How does it taste? That's where another added ingredient comes into play. Gik is also a sweetened wine and that's accomplished with a no-calorie sugar-free sweetener, at that. We tried the wine both chilled and slightly cooler than room temperature, though chilling is recommended on the label. The smell of the wine is that of an otherwise inoffensive sweet white. What we couldn't seem to get past in our tasting was the aforementioned sweetener. As one person put it, Gik tasted, rather appropriately, akin to those blue Equal packets at a coffee shop. Another said it reminded them of sugar-free Kool-Aid mixed with a splash of wine. We pondered the possibility that, given its sweet nature, a sparkling version might cut through with a bit of carbonated dryness. But regardless, the sweetener just plain confounded the lot of us. 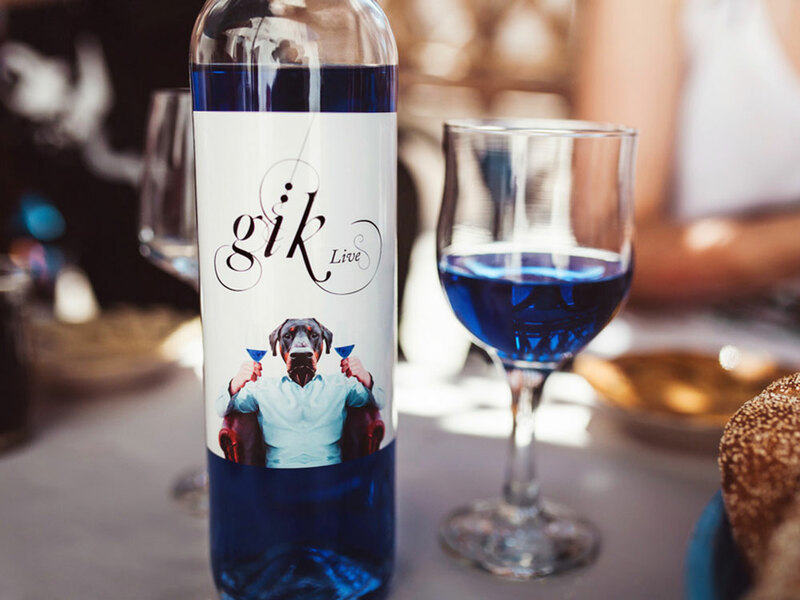 In the end, the best reason we could surmise to try Gik's blue wine is, well, because it's blue. For that novelty alone, it might be worth the price of a bottle. Gik is available for $16 per bottle (minimum of three bottles) by pre-order online.